This week has seen the publication of the latest triennial ‘Confidential Enquiries’ report: Saving Lives, Improving Mothers’ Care. Lessons learned to inform future maternity care from the UK and Ireland Confidential Enquiries into Maternal Deaths and Morbidity 2009-2012. This triennium’s enquiries also looked into the care of women who experienced severe complications but survived, which the team felt would further enhance the investigation’s ability to improve the care of women in the future. “Every maternal death is a tragedy, to the families left behind, to the staff involved, and to the wider communities that the women are a part of. Not to learn lessons for future care from such deaths, with the aim of preventing other mothers from dying and continuously improving our maternity services, would be an even greater tragedy. There are still too many countries in the world where such deaths pass unnoticed. It is a testament to the commitment of doctors, midwives, nurses and Health Departments throughout the UK and Ireland that the death of any woman during or up to one year after pregnancy leads to an in-depth investigation of the cause and circumstances surrounding her death and recommendations for improvements to community, hospital and public health services. The Confidential Enquiries into Maternal Deaths in England and Wales, subsequently the UK, and now also including Ireland, have been conducted continuously since 1952; during this time maternal death rates have fallen from approximately 90 per 100,000 women giving birth (Ministry of Health 1957) to around 10 per 100,000 now.” (Knight et al 2014: 1). In the 2009-2102 period, 357 women died during or within six weeks of the end of their pregnancy. This was equivalent to 10 in every 100,000 women giving birth, and a significant reduction from the 2006-2008 period in which 11 in every 100,000 women died during or in the six weeks following pregnancy. The reduction from the last triennium to this one is mostly explained by a reduction in deaths which were the direct result of a pregnancy-related complication, such as bleeding. In the 2009-2012 period, a third of the women who died did so as a direct result of a pregnancy complication, and two thirds of the women who died did so because of a pre-existing medical or mental health problem. Three-quarters of mothers who died had pre-existing medical or mental health problems when they became pregnant, and the report’s authors recommend ‘high-level actions’ to ensure that women with medical conditions are offered appropriate and evidence-based care throughout the childbearing year. More than two-thirds of the women who died did not receive the nationally recommended level of antenatal care, and a quarter did not receive the recommended minimum level of care. Almost a quarter of the women who died had a severe infection, and one in 11 of the women who died did so from flu, which has led the report’s authors to include the promotion of flu vaccination in their recommendations. Lastly, one ongoing statistic which never seems to get highlighted in the way that it should but which I feel ought to get more attention is that maternal mortality rates continue to be higher amongst older women, women living in the most deprived areas and women from some ethnic minority groups. I’m still going through the report, and so I am very open to discussion on the questions that I am going to raise here. I am a big fan of Confidential Enquiries; I know that midwives and doctors in some other countries are very envious of it, I refer to it a lot in my work and I see huge value in our being able to unpack and analyse tragic situations in order to try and improve the care we give to women in the future. I also understand that most practitioners do not have the luxury (as I do) of being able to get to know every woman very well, which does make it easier to determine when a woman is unwell or when things may be going awry, so population-level recommendations are needed. But there are a couple of elements of this report that I think warrant further debate. I realise that I am biased, in that I tend to want evidence before suggesting intervention (which includes prophylactic intervention such as vaccination) rather than the other way around, but I am finding it hard to see how we can really know that these women’s deaths were preventable. If we were to have good trial or meta-analysis data showing the unequivocal effectiveness of flu vaccination, then that would be different (although there would still be a need for women to weigh up the pros and cons of the intervention within their own context). 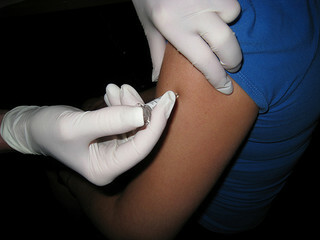 But the Cochrane review that looked at the effectiveness of flu vaccination in healthy adults (including pregnant women) concluded that ‘influenza vaccines have a very modest effect in reducing influenza symptoms and working days lost in the general population, including pregnant women.’ (Demicheli et al 2014). These reviewers also found that 35.4% of the trials were funded by industry, so bias is most certainly an issue that needs consideration… For these reasons, I fully understand why some midwives and doctors are concerned about being told that they need to recommend flu vaccination to women. I understand the sentiment behind why this sentence has been included here, and that it was probably intended to relate solely to women ‘with any symptoms or signs of ill health’ but I am concerned because it is not clear whether it refers only to women who are feeling unwell. If this was not the intention, then I find this an incredibly problematic statement. It is absolutely vital that we learn from tragedies and take every opportunity to improve the care that is offered to pregnant, birthing and postnatal women and babies, but surely not at the cost of the understanding that pregnancy and birth, for the vast majority of women, are healthy and happy parts of their life journey and certainly not to be put on trial and decreed to be normal or healthy only after measurement by a health professional? I don’t want my concerns to detract from the importance of this report and from the value of its contents. I highly recommend that all practitioners read it and see for themselves where they might be able to reflect upon and/or make changes to their practice. But I believe that we need to read even the most eminent sources with a reflective and questioning mind, and those are some of the questions that mine will be pondering over the next few weeks. I look forward to hearing and reading others’ thoughts. Demicheli V, Jefferson T, Al-Ansary LA, Ferroni E, Rivetti A, Di Pietrantonj C. Vaccines for preventing influenza in healthy adults. Cochrane Database of Systematic Reviews 2014, Issue 3. Art. No. : CD001269. DOI: 10.1002/14651858.CD001269.pub5. Knight M, Kenyon S, Brocklehurst P, Neilson J, Shakespeare J, Kurinczuk JJ (Eds.) on behalf of MBRRACE-UK. Saving Lives, Improving Mothers’ Care. Lessons learned to inform future maternity care from the UK and Ireland Confidential Enquiries into Maternal Deaths and Morbidity 2009-2012. Oxford: National Perinatal Epidemiology Unit, University of Oxford 2014. I have read the recommendations and intend to follow them where possible. I have to say though with only 3 postnatal visits for most women community midwives are limited in their potential to spot sepsis. It has been the guideline (NICE) that observations at each of those visits on a well woman is unnecessary. But what constitutes unwell ? A painful abdomen after LSCS is normal or is she unwell? Painful sutures after a tear/epis or is she unwell? Stinging when passing urine, is it the labial tear or is it UTI? One of my colleagues said we may as well do a set of observations at each visit regardless. With precious time for visits and increased investigations to rule out infection even on well women, I fear the support we can offer psychological and practical could be affected. More staff and time needed. I also think the report should have discussed the role of medicalisation in some cases. IOL Which can mean repeated VEs and augmentation and syntocinon with venflons etc. Equally there may be a case for extending VEs to more than four hourly for all births as genital tract sepsis and UTI are so prevalent in sepsis cases.